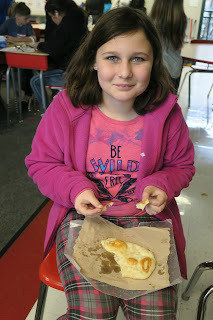 Few recipes I've made with fifth graders over the years have been as popular as Native American Fry Bread. Class after class, it was a favorite of many of my students. 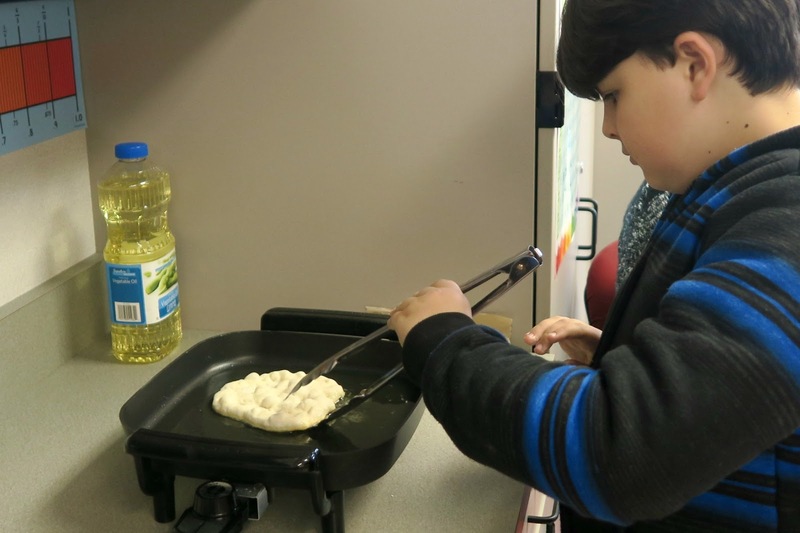 This week, during our final lesson about Native Americans, I made fry bread with the kids in Trevor's fifth grade class. Not surprisingly, they loved it, too. 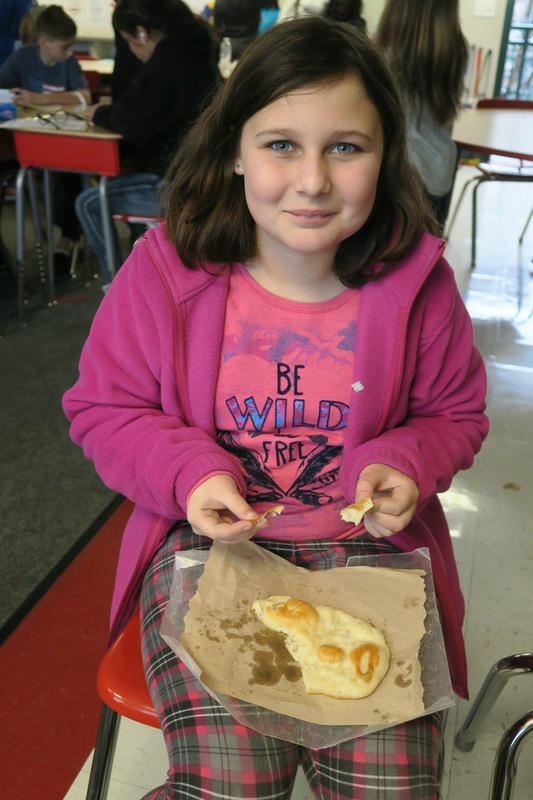 What's not to love about fried dough?! This recipe is a good one to make in the classroom because it is inexpensive, simple, and once the basic dough is made, each child can shape and cook his/her own piece. I spend quite a bit of time before we start cooking talking about safety. Cords, hot oil and horseplay or carelessness do not mix, so I spend time setting up a safe environment (cord tucked out of the way, a physical barrier like a chair or desk to separate the cooking area from the rest of the room) and then making sure the kids understand every detail of my rules. I show how to use the equipment correctly (do not drop the dough into the hot oil, do not leave the metal tongs in the oil while the fry bread cooks), demonstrate the correct technique, then let the kids give it a go. 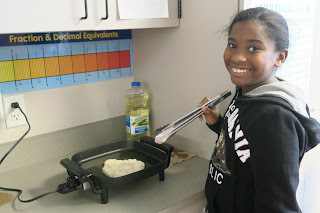 For some of the kids, it was their first time cooking in hot oil. They were all very responsible and followed the safety procedures exactly. Good thing, as I'm not shy about revoking cooking privileges from someone who won't follow rules designed to keep us all safe. As usual, I found it very difficult to take photos and teach at the same time. I've often thought back and wondered why I didn't take photos back in my teaching days, and now I'm realizing part of the reason why. I KNOW I need photos for the blog and I keep my camera on me, but it is still tough to stop what I'm doing to snap a picture. .... as well as one happily-munching child. This is an awesome recipe, and one you should definitely try at home. It's delicious plain or with toppings. Try it as the base for an amazing taco salad. In a mixing bowl, stir together flour, baking powder and salt. In a separate bowl, mix dried milk, water and oil. Pour the liquids over the dry ingredients and stir until a smooth dough forms. Cover the bowl and let the dough rest for 10 minutes. Pour 1” of oil into a large skillet* and heat to 375°F. Divide the dough into 8 equal portions. Roll each piece into a ball, then flatten it with your hand. Stretch it into a circle about 10” across. 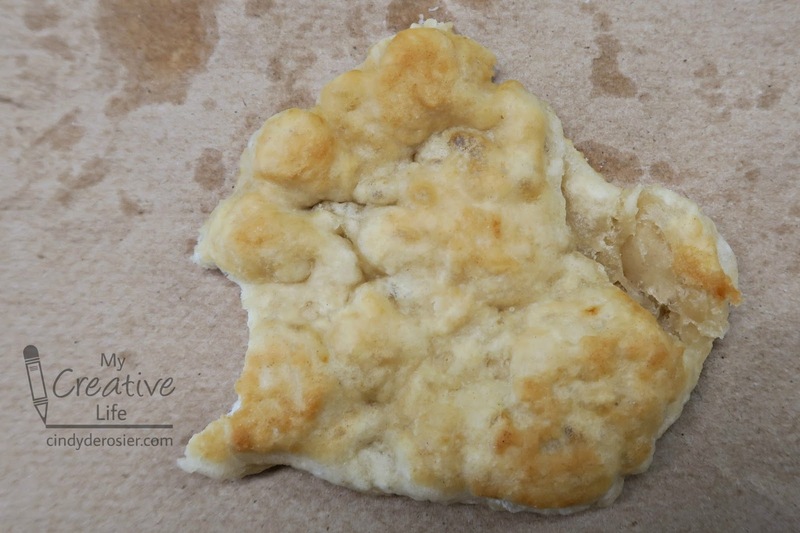 Slip the dough into the oil, one piece at a time, and fry for 1 minute or until golden brown. Turn with tongs and fry on the other side for another minute. Drain on a baking sheet lined with paper towels. Eat while hot and crisp. Makes 8 large pieces of fry bread. *If you are making this recipe somewhere without a stovetop, as is the case in most classrooms, you'll need an electric skillet. 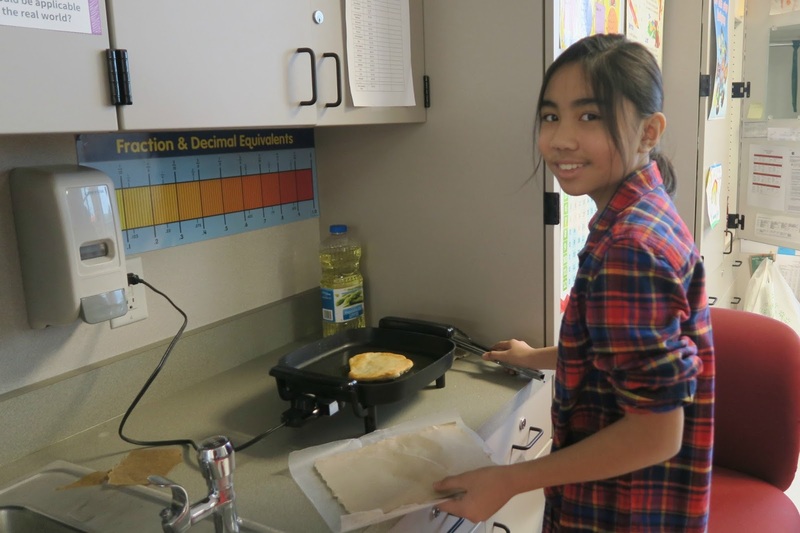 The Presto 11" Skillet (affiliate link) has served me well for 20 years of classroom and home use and is going strong. That is my ALL TIME FAVORITE fair food!! YUM!!! Give me some powered sugar and honey on top! LOVE IT!!! !